Our Orangeway Bus to Vienna departs at 7am from Budapest. That means we have to take a cab from our apartment to a stadium near Nepliget metro station at abt 6.30am. How to hail a cab so early in the morning especially with at such an isolated part of Budapest? Definitely my experience of being scammed by a taxi driver on my first day of arrival of hailing one on the street. Thus I decided to reserve a taxi online at City Taxi. I read on forums that a number of taxi companies in Budapest are quite reputable and City Taxi is one of them. Another plus point is that their reservation forms are easy to use and most importantly they promised to reply within 15 minutes of reservation. And guess what? They did! I was able to confirm my reservation in just less than 30 minutes. I was even able to ask them to give me an approximate quote so i know i will not get scammed. At 6.15am we crossed our fingers and hoped that our reservation really worked and a taxi is coming for us. As I opened the lobby door to brave the cold to look outside, out of nowhere, our savior – a City Taxi switched on its engine and rumbled towards us! phew! We arrived at the Orangeways Bus Terminal at about 6.40am. The cab ride cost us just 1900 HUF – 300 HUF cheaper with twice as much distance covered compared to the journey from Keleti to Hollo Utca. We are 20 minutes early but we cant board the bus yet because the check-in counters have not been setup yet. Yes! check-in counters and they even have stewardess on the buses too. 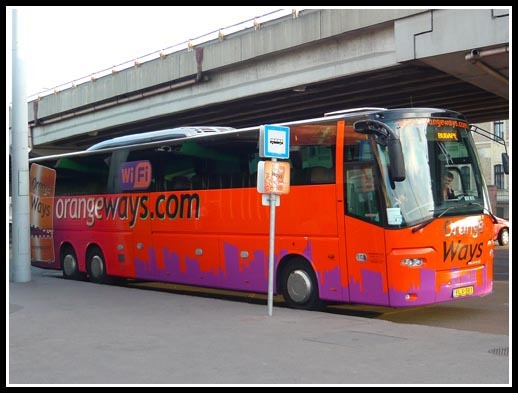 The Orangeways bus is very cool – there is a toilet just beside the steps to the bus and also a vending machine that serves hot chocolate, coffee etc. The stewardess will serve you the hot drinks after the bus sets off. Not sure if you are allowed to served yourself though. I saw someone being reprimanded for trying to serve herself drinks. The vending machines and airplane-like tables at each seat. The entire journey from Budapest to Vienna took 3 hours and it was very comfortable – a movie was being played too – Mystic River but it was in Hungarian with English subtitles. 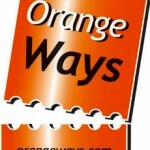 If you are interested in seeing more on Orangeways buses, check out the 4-minute video below. hey thanks for dropping by my photoblog. Nah i dont think its tulips season now… the photos were taken during my trip to Munich in June. Seems like you have been travelling quite abit. Anyway, you have a nice blog! .-= Chee Wei´s last blog ..Munich in Full Bloom =-. Hi there, I’m tachi, from Madrid. I’ve tried many times to book two tickets in the 16.30 hs bus from Buda to Prague next 1º September, but it was impossible to pay by credit card online. Could you please let me know if there is another way to make my reservation? Do you think I would take my change and buy the tickets when arrive at Buda? Do you believe the buses will be very crowded for that time? “I am just back from a trip travelling through Hungary on my way from Serbia to Austria via 75. I had no idea of the choas at the Hungarian border. I have travelled far and wide and have never seen a hang up like this in my life. We arrived at 6:30am on a Sunday morning & it took us 3 1/2 hours to go approx 1 mile. It was not so bad going out of Serbia, but the Hungarian side was out of control. We had people turn off their cars and just walk around..they would go walk around and just leave their cars in 3 lanes of traffic..they would lean on their horns…little happened. Finally when we got to the border control, they could not have moved any slower..if they did, they were going backwards. They were chatting with each other, stopped to drink water and were very rude…I guess this country is still stuck behind the iron curtain. I was later told that if we had come hours later, we would have been stuck there for 8 1/2 hours. In this day and age, I cannot understand how a country could let this happen. There are such things as efficiency experts and perhaps hiring people that are motivated to move things along. Our check out took about 7 minutes by the time the guard came over and asked for the passports, registration, etc. Here is a tip that is very well known. Take City Taxi in Budapest. Any other taxi could cost four times the money. Take the time and get the number into your cell phone. Here is a tip you won’t here anywhere else. We took a cab for $300 from the front door of our hotel in Budapest to the front door of our Vienna hotel. It was a City Taxi. We had to negotiate a bit. However, it avoided all sorts of delays and extra costs and transfers. We stopped at McDonalds for big coffees and had a very nice driver. It took a little over two hours. We saw great country. We were just two people, but if you spread the cost over four people it would maybe even save some money. Plus, it makes a great story. 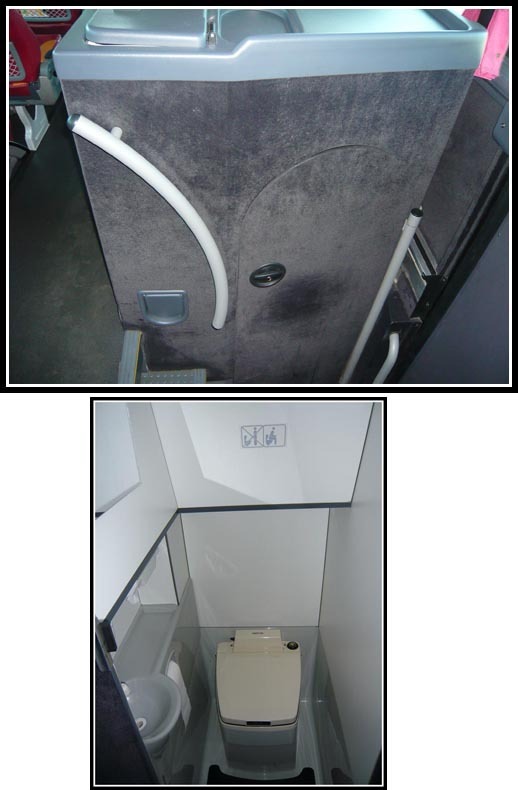 Yes its like those coach bus seats – not the sbs bus seat. I am very interested to know why didn’t you take train to Wien instead? Discounted Railjet tickets (takes about 2 and a half hours) costs only 13 euros. I noticed you didn’t post the price of the bus tickets? The bus tickets can’t have cost much less than 13 euros. Unless of course the discounted tickets are sold out. In my experience train journeys are usually more comfortable than taking bus. Usually you get more space and the ride itself is more comfortable since you are not subjected to traffic or bad road conditions. In additions, some rail tracks cut across some dramatic landscapes treating you to some amazing scenery! I know what you mean abt long bus journeys but this 3-hour bus ride was surprisingly quite comfortable. We slept most of the way and the seat reclines by quite a fair bit and the bus was 1/3 full only. in this case, u didn’t experience any delays in crossing the hungarian/austrian border checkpoint? There was no passport control at the Austrian-Hungarian border so yup – no delays and checking of passport. 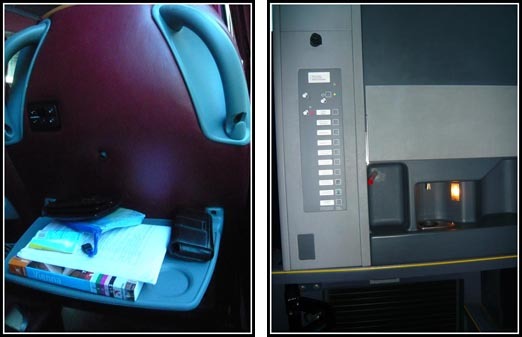 Bus Ticket Booking Online: A third better alternative is to buy Bus tickets Online and save Time and Money. Within a fraction of minute, you can search for any discounts that are available. You not only have the facility of booking online to various destinations in India, you can also find various details like routes, bus type, timings, boarding/destination points and fares. Thanks for the reply. Yes i read their baggage policy before. I was just afraid that if the bus was too full they might refuse our luggage since according to the rules thye have a right to refuse carrying the third luggage and beyond. But from your reply seems like the bus aren’t that packed which should be ok i guess.. Thanks again! but that was 6 years old… so i can’t be sure if the bus will still be as empty as last time.